Celly is a free service that offers group text messaging and polling. You can have open group chats, one-way alerts or even moderated chats. It is set up as a "cell" with a unique name so that you can invite the people you want to join. It is free to use (standard text messaging rates apply though) and anyone with a mobile phone or access to the web can use it. There is a full web console to control and monitor things and you can either create a Celly login or login with Facebook or Twitter. It is secure and private, there are no limits to the number of people on a cell, and you can use it for polls. There are also many more features such as media links, notes and more. Celly is a great way for schools and teachers to communicate with each other, parents and students. Today, Celly is announcing a new service. The new service allows users to build instant mobile social networks, called "cells" using text messages, QR Codes, email, web or the new Android App. Anybody with a mobile phone can join a cell in seconds and instantly share secure group messages, polls, reminders, notes, and topic alerts. This means that students and teachers can easily and quickly create their own networks for classes, projects, discussions and more. These cells could also be used at professional development and conferences for back channeling and discussions. The Full Press Release is Below. Check it out. 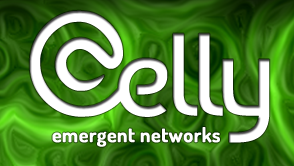 Portland, OR – September 18, 2012 – Celly today announced availability of its service for building mobile social networks. The new service enables real world groups to instantly self-organize into mobile social networks, called “cells”, using text messaging, QR code, email, or web. The speed, simplicity, and flexibility of the Celly platform has led to the creation of more than 20,000 cells across all 50 states for friends, families, schools, communities, local governments, businesses, and the Occupy Movement. The company also announced today availability of the Celly Android App for free download on Google Play. Celly streamlines the social networking process through the power, ubiquity, and convenience of mobile phones. Anybody with a mobile phone can join a cell in seconds and instantly share secure group messages, polls, reminders, notes, and topic alerts. Cells are “social building blocks” that work for any group, event, place, or activity. Cells can operate stand-alone or be linked together into networks to match the size and shape of any organization. “Our goal is to build the smallest communication tool that can have the biggest impact on the most scenarios in the shortest amount of time,” said Greg Passmore, co-founder and CTO of Celly. ● Privacy and Sharing Controls – Celly users communicate freely without identifying individual phone numbers. Group communications can be moderated by one or more “curators” for relevancy, abuse, and redundancy. ● Ubiquitous Access – On-boarding is instant, simple, and works from any device, addressing the “digital divide” between those with a smartphone or tablet and those who just have an SMS-enabled mobile phone. ● Unlimited, Opt-In Membership – Cells have no limit on membership. Plus, all members choose to opt-in, or out, of each mobile social network. ● Real-time Discovery – Cells can track RSS feeds and other social networks for topics of interest. When a cell discovers a search hit, matching messages are automatically imported by the cell and members are instantly notified. ● Multi-Cell Networks – Multiple cells can link together forming complex networks for collaboration where messages with specific hashtags route from one cell to another. Founded by former cloud computing architects from VMware, Celly is partnered with Portland’s Upstart Labs Accelerator Program and was recently recognized in the American Association of School Librarians (AASL) 2012 Top 25 Best Websites for Teaching and Learning. Celly is available today as a free service via SMS, the Celly website, or the new Android App available on Google Play. iPhone App, Developer API, and premium plans for organizations and advanced users are coming soon. Celly instantly connects people and topics in everyday life using the power, ubiquity, and convenience of mobile phones. From a text message, Android App, the web, QR code or email, individuals and organizations can spontaneously create private, mobile social networks to communicate, collaborate, and share information using group messages, polls, reminders, voice alerts, notes and real-time feed tracking. The free Celly service powers over 20,000 “cells” in schools, homes, local governments, community groups and neighborhood associations, event planners, teams and clubs, businesses, and the national and local Occupy Movements. 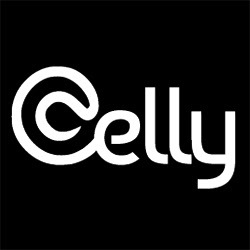 Get started with Celly at cel.ly, or follow us on Twitter, Facebook and our blog.